November is a very busy month for the ladies of ASC. The annual Election Day bake sale will take place at AE/MS on November 6. A large variety of baked items will be for sale with coffee or tea. Tickets for the fourth Gifts Galore Raffle will be sold on Election Day, at the Thanksgiving Day pie sale, and at the ASC Thrift Shop. Winning tickets will be drawn on December 12 the annual Christmas luncheon at 74 Main in New London. The annual Thanksgiving pie sale will take place on Tuesday, November 20 and Wednesday, November 21 at the Food Stop in Potter Place. Delicious homemade pies in a variety of flavors such as apple, blueberry, pumpkin, and pecan, etc will be sold. Proceeds from these events will benefit the ASC Merit Scholarship Fund and local community non-profit organizations. Last October 27, the ASC sponsored its fourth art & craft fair: Christmas in October at the Jingle Bell Fair. 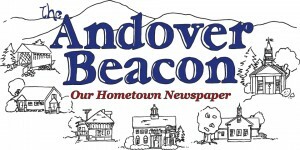 Vendors from Andover and many other surrounding towns participated for a very successful day. Customers purchased one-of-a-kind gifts for themselves, family, and friends. The ASC will meet on November 14 at 10 AM in the Highland Lake Grange Hall. Tammy Astle, OT, will be the special guest speaker. Her topic will be The Care and Feeding of the Brain. All women (young, old, or in-between), are invited to attend. The Grange Hall is located on Chase Hill Road in East Andover.